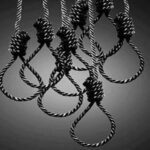 HRANA News Agency – In a concerning statistical jump, in less than three weeks, more than 56 prisoners with different charges were hanged in 10 different cities of Iran. HRANA News Agency – Yalda celebrations organized by youth groups and social activists in Gorgan, Golestan Province, was cancelled after police and security agents raided the ceremony.Yalda is the Persian Winter Solstice Celebration observed on the longest night of the year. According to a report by Human Rights Activists News Agency (HRANA), more than one hundred young citizens and social and cultural activists from Golestan Province planned Yalda celebrations which was ultimately cancelled after security agents raided the ceremony. Prior to the celebrations, all the expenses were paid and preparations were made for a modest ceremony planned to be held in the garden of a restaurant.Guests intended to recite poems, read stories and eat dinner.